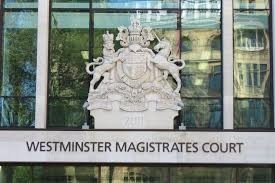 In a case brought by the Port of London Authority (PLA), Lee Martin (31) of Gravesend was fined £2,750 and ordered to pay costs totalling over £3,500 for blatantly ignoring a ban on jet ski-ing on the river in London (3 August 2018). His crime was compounded by a totally irresponsible disregard of speed restrictions, which put his own life at risk, as well as the lives of other river users. The Metropolitan Police's Marine Unit diverted Mr Martin from his apparent intention of getting as far up river as central London, but he escaped detention by officers. He has since been tracked down by meticulous detective work. Bob Baker, the PLA's Chief Harbour Master, said: "The irresponsibility of Mr Martin's actions beggars belief. His conviction stands as a clear warning to others that stunts of this kind on the Thames will not be tolerated. "The fact that Mr Martin now has a criminal record and is over £6,000 out of pocket should be a real deterrent to anyone tempted to replicate his antics. "We are very grateful to the police for their patience and professionalism in bringing Mr Martin to justice for the folly of his actions. "It’s a miracle that no-one was injured or lost their life as a result of his totally reckless behaviour." Meanwhile, the PLA has published an updated safety guidance document for people using jet skis and other personal water craft, where they are permitted on the river, down stream of Lower Hope Point, near the Isle of Grain in Kent. This can be found the on the PLA's website.